Strategy and planning diagram to find employment on a chalkboard. Photo courtesy of Shutterstock. In a competitive job market, it’s important for every job seeker to consistently fine tune and tweak their job searching process. If you are having trouble landing a job, the problem may be your search tactics and not you. Even if there are ample job opportunities in your field, you need to ensure that you are using the right avenues and techniques to find worthwhile opportunities. To truly stand out from the crowd, you need to be yourself. You need to market yourself to potential employers in your own unique way. Interview tactics and techniques that work for one person may not work for another. Consider your own personal experiences and your career goals. Use these as a way to market yourself as a unique candidate that can help the company grow. Many job seekers make the mistake of not taking interviews as a seriously as they should be. Head into each interview with the intention of landing the job. This is more than just an informational meeting where you and the hiring manager get to know each other. The first interview is your one and only chance to make a good impression. It is crucial that you are as prepared and professional as possible. Social media websites have made it easy for employers to research potential candidates. If you are in the process of searching for a job, you need to take control of your social media presence and present yourself in a professional way. Keep in mind that nearly all social media websites make each member’s profile photo public. Make sure that your photo represents you in a professional way. It may be tempting to inflate your skills to make your resume more attractive to potential employers, but it’s important to be upfront and honest about what you can truly offer the company. Never promise a company more than you can deliver. If you are planning on applying for a more challenging role, make sure that you have the skill set and the commitment to be successful. Today’s job search is multi-faceted. Decades ago, job seekers relied on the classifieds section and local connections to land a job. Employers now rely on more than just a candidate’s resume. They also use the Internet and social media to find new candidates and learn about more applicants. In order to be successful with your job search, you need to be using every available avenue. Make sure that you have a presence on LinkedIn and other social media websites. Social media serves as a way to network with others in your field, but also as a powerful searching tool as well. You never know when a potential job opportunity may come through on Facebook or Twitter. 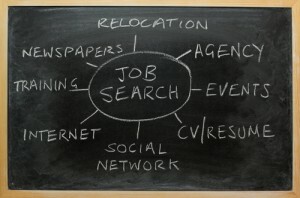 Use job searching websites to find local listings from potential employers. Make sure that you use relevant terms when searching and read each description carefully. Use traditional methods. When searching for a job, it’s important to cover all of your bases. This means checking out the local classifieds section to see if you can find any job opportunities. Network with others. Find new opportunities to network in your field. Attend job fairs and connect with others through social media websites. Persistence is the key to landing a job. If you continue to push forward and make the most out of every opportunity, you will eventually land a job that you truly enjoy.